Fractal Theory Productions is a one of a kind Alaskan Event/Entertainment service located on the Kenai Peninsula. We are a "one stop shop" for excellence in event services. With over 12 years of experience in the industry, Fractal Theory Productions is equipped to provide professional sound, video, and lighting for your corporate or private event. Whether you're hosting a holiday party, planning a house party, holding a business meeting, planning a wedding, or preparing for a school event, FTP is here to meet your audio & visual needs. 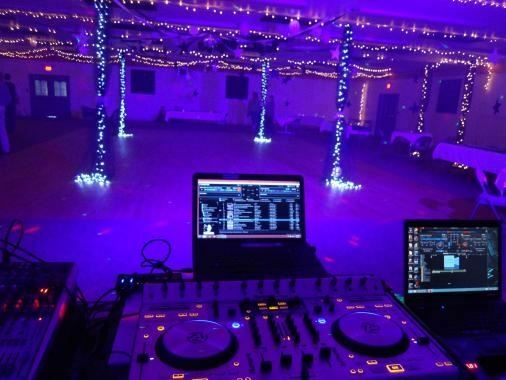 With top of the line sound and lighting equipment, a crew of experienced DJ's, MC's and sound & lighting technicians, FTP makes planning for any event easy. We are based out of Homer, Alaska and can service Soldotna, Kenai and Seward, Anchorage and Fairbanks but we're also willing to travel throughout the state. We pride ourselves on being able to cater to the needs you may have for your event, we're confident that we can help you make your event unforgettable. We are connected to and supportive of a variety of other event professionals, from photographers to live musicians to youth events. Feel free to ask us ANY questions. Keep an eye on our site for upcoming promotions and events!